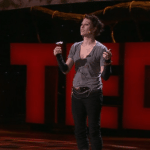 The Economist recently took note of Amanda Palmer’s viral TED video where she outlines how she has funded her music throughout her career by building relationships with an increasingly large and affectionate crowd following. The Economist has noticed Ms. Palmer’s fundraising activities before after she successfully used a crowdfunding project to source $1.2 million (on a goal of only $100,000) related to a new CD and tour. Her TED video has now caused over 1.6 million people to also take a look at the wild and outgoing Palmer. 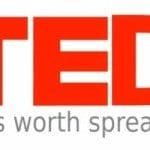 Palmer’s primary message in her TED Talk is that musicians and the music business have been reacting to illegal music downloading and file sharing from the wrong perspective. 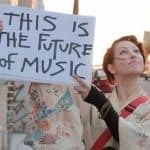 She argues that rather than trying to figure out how to make music fans pay for music, they should be focused on letting them pay for the music they love. 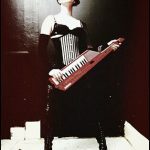 Crowdfunding through an internet portal is only the most recent mechanism, and likely the most successful, for Palmer to allow fans to support her work. She has used Twitter to find a free place to stay and has even been a strange street performer posing as an 8 ft. bride for photos. Palmer understood crowdfunding before Kickstarter understood crowdfunding. She has used it to give fans a portal to support her musical efforts and, in the process, to feel a sense of ownership in the results and collaboration in the process. Her message is a timely one for regulators who are trying to figure out Title III crowdfunding. The SEC is probably struggling to figure out how to stop issuers or portals from making investors purchase crowdfunded securities. Some have suggested that the SEC would like to test crowdfunding by timing regulations such that only broker-dealers will be able to conduct crowdfunding offerings for some period of time. This really overlooks the most promising area of Title III. Broker-dealers are in the business of convincing people to buy securities much in the same way that music labels want to convince or “make” people pay for music. 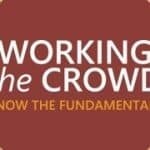 Internet portals that are precluded under the JOBS Act from providing investment advice to investors are not in the business of “making” people invest in crowdfunded offerings, they are designed to “let” people invest in these companies. 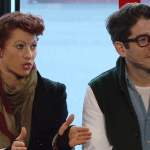 This entry was posted in Strategy and tagged amanda palmer, mark mohler, ted. Bookmark the permalink.